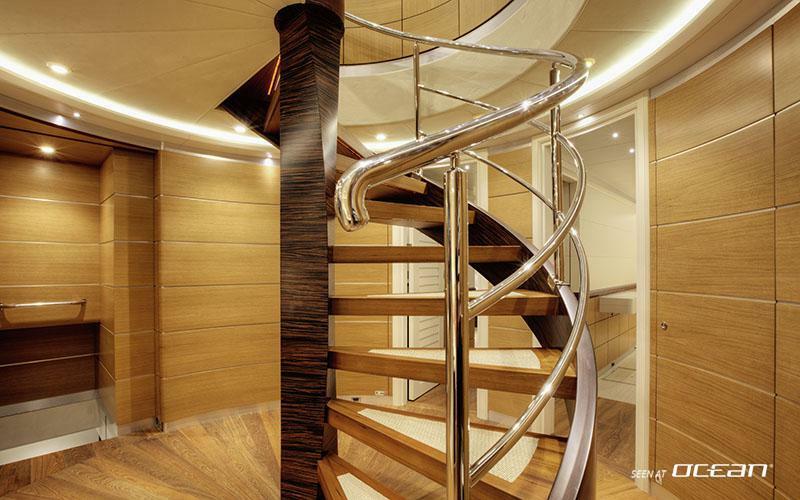 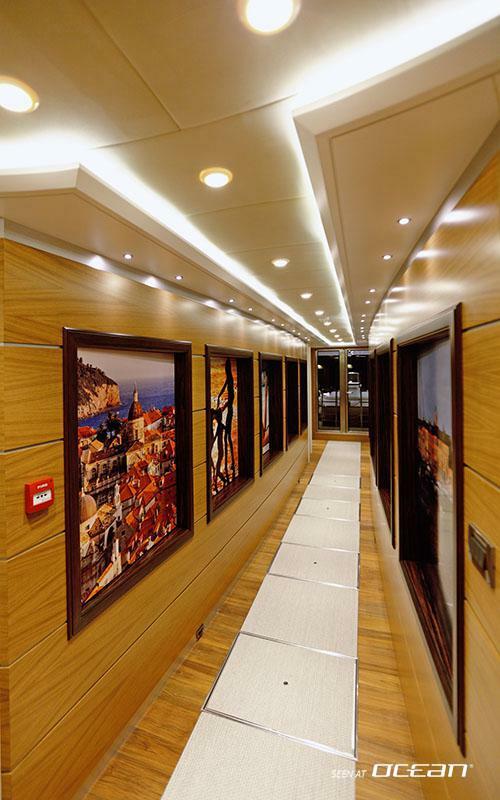 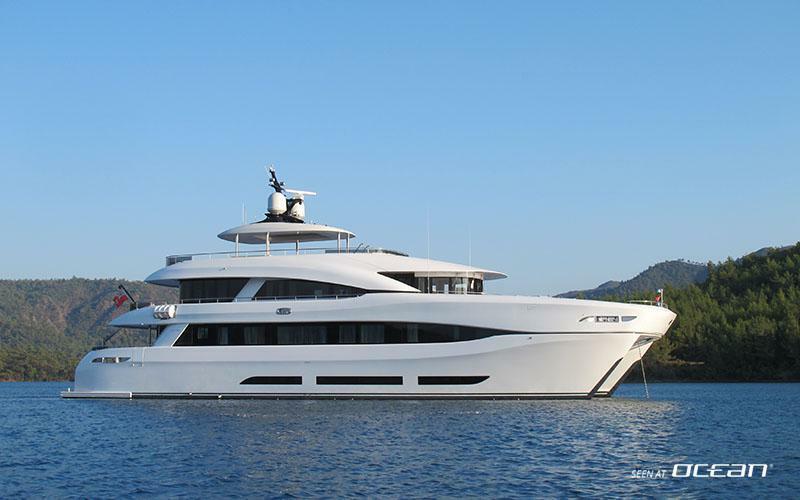 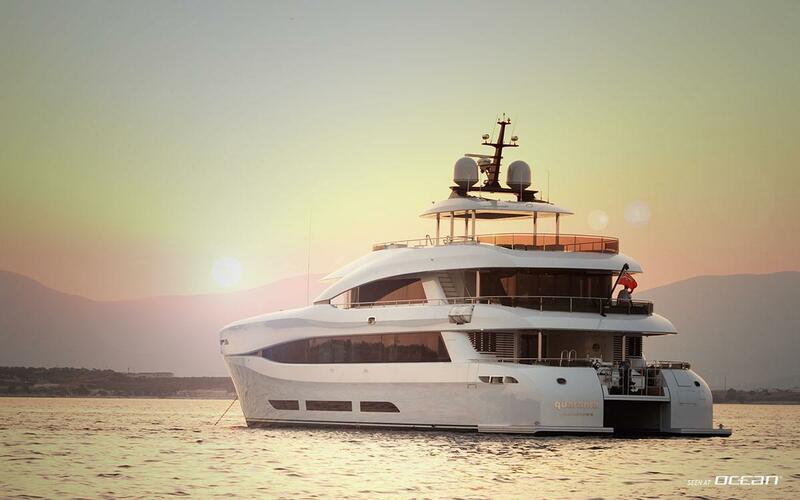 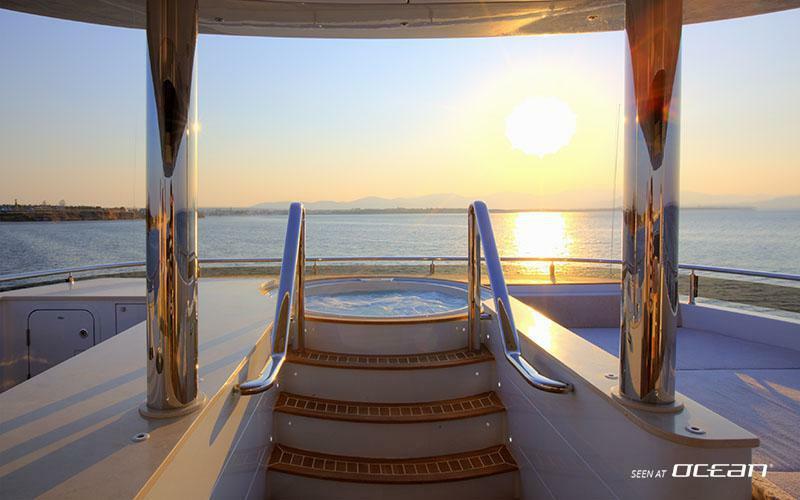 Luxury motor yacht QUARANTA is a proud winner of multiple prestigious design awards. 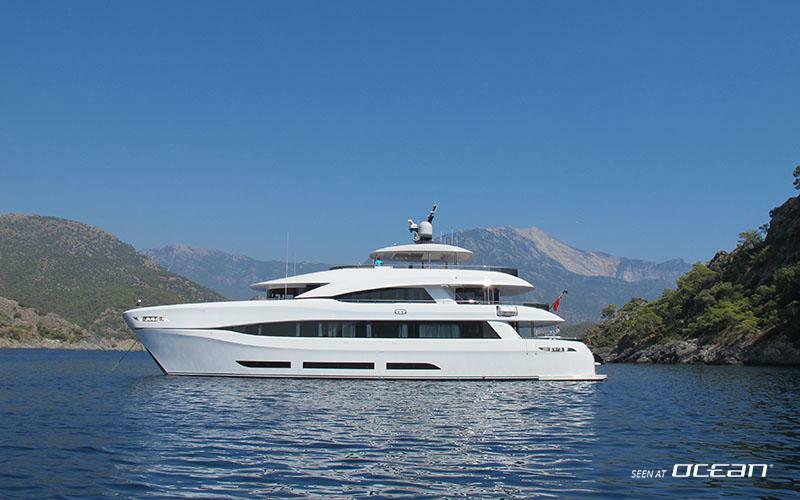 Remarkable for actually being the first motor yacht at all built by the Turkish Curvelle Shipyard in Turkey. 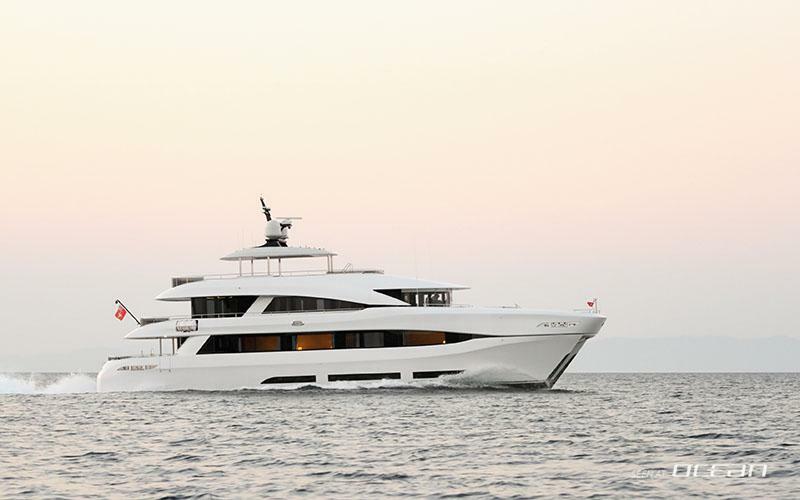 QUARANTA features unusually spacious interior and exterior volume for her size known from performance monohulls in the range exceeding 40 meters. 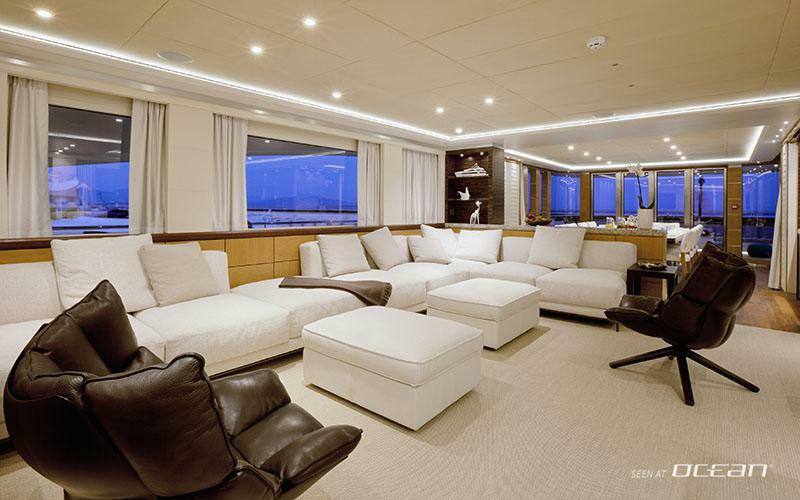 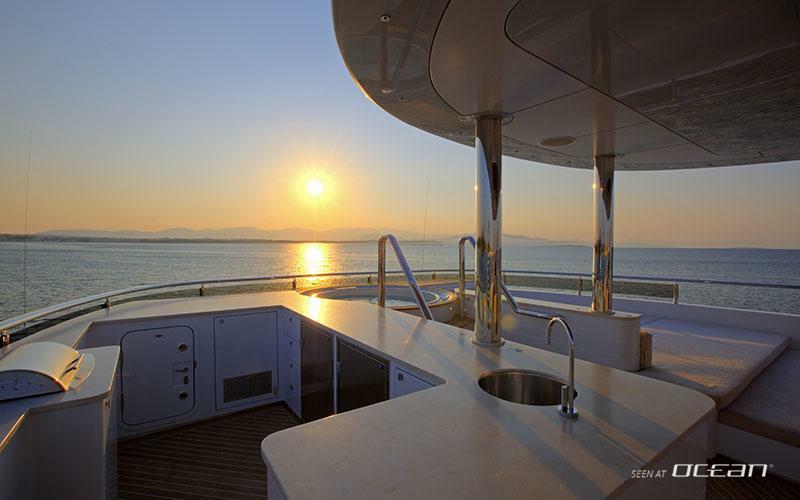 QUARANTA is a superyacht catamaran measuring 34 meters (111’) and offers generous interior versatility. 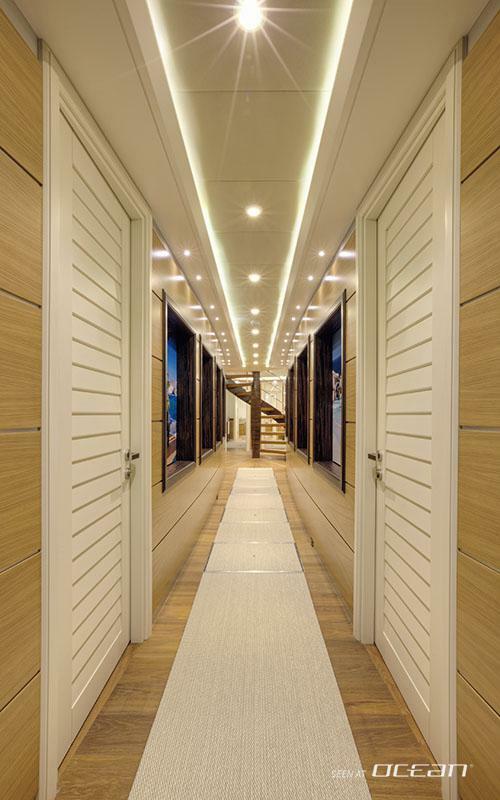 Concretely said, over 20 different layouts are possible from double cabins, to twin and triple cabins – it’s all yours, whatever your needs 34M motor yacht QUARANTA has the solution for your guest profile. 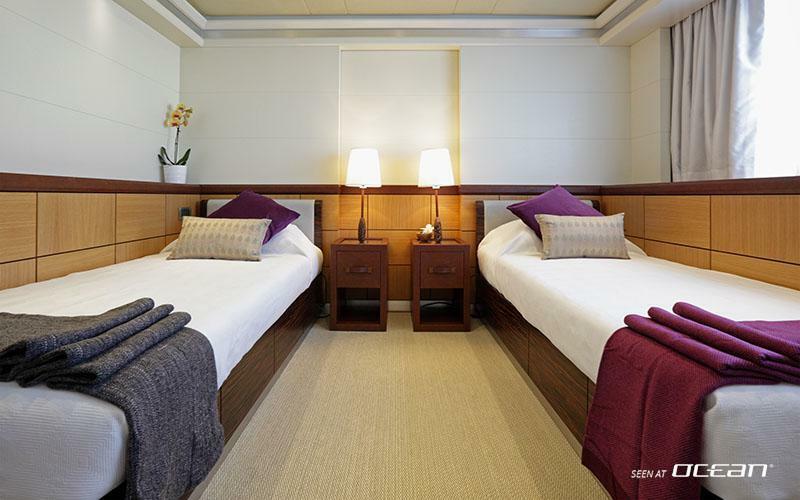 Up to 12 guests can be comfortably accommodated in 6 double cabins and a crew of 7 professional members will pamper you on board being at your disposal. 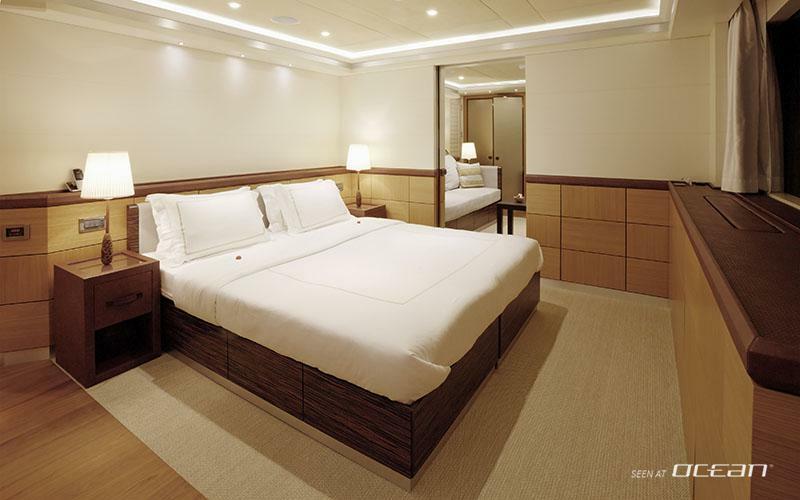 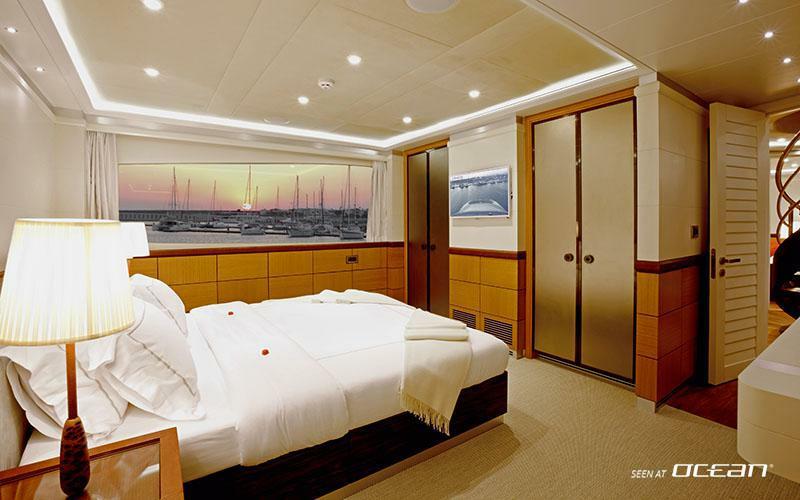 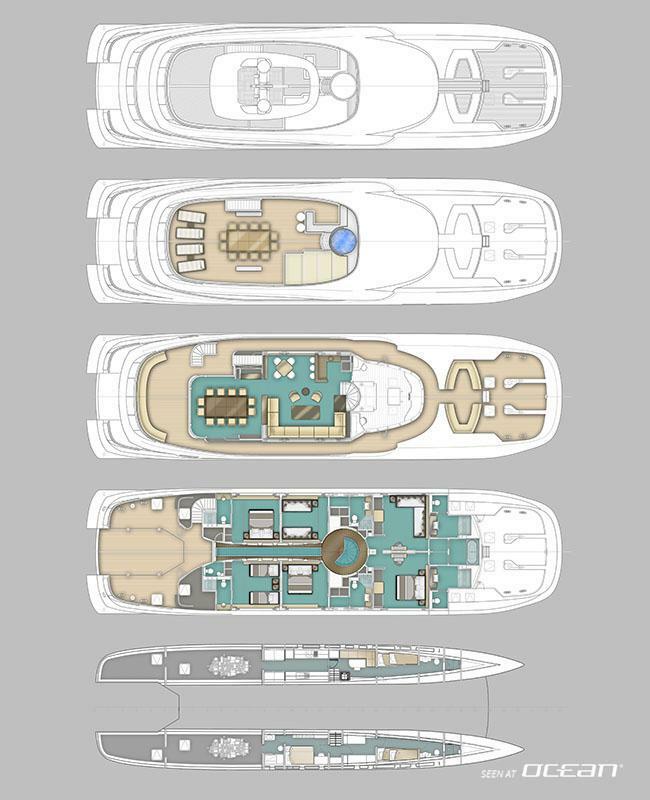 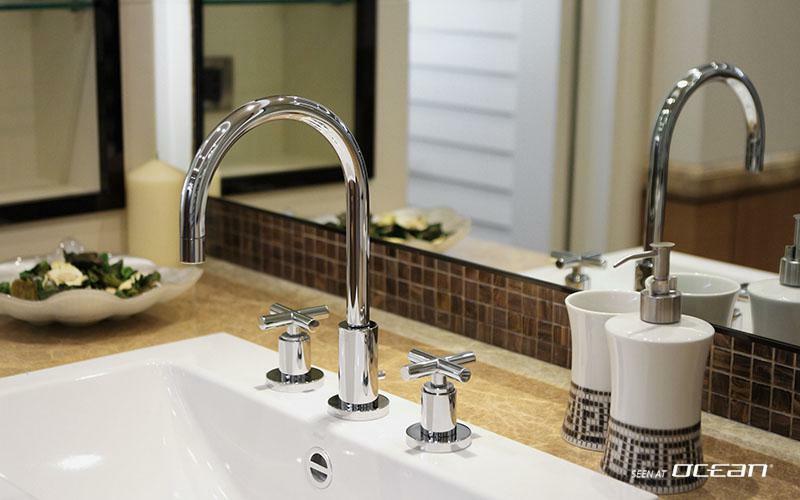 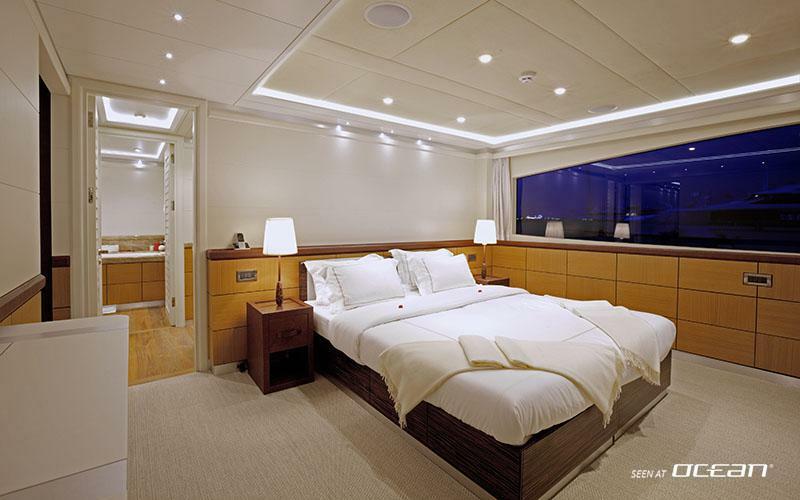 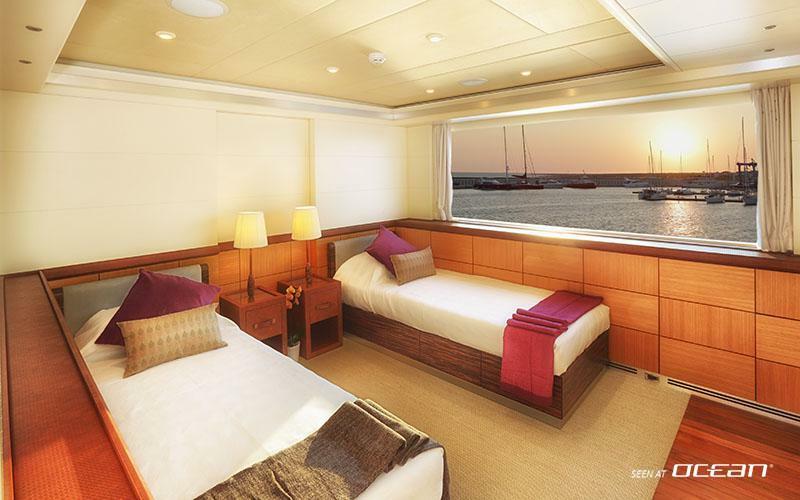 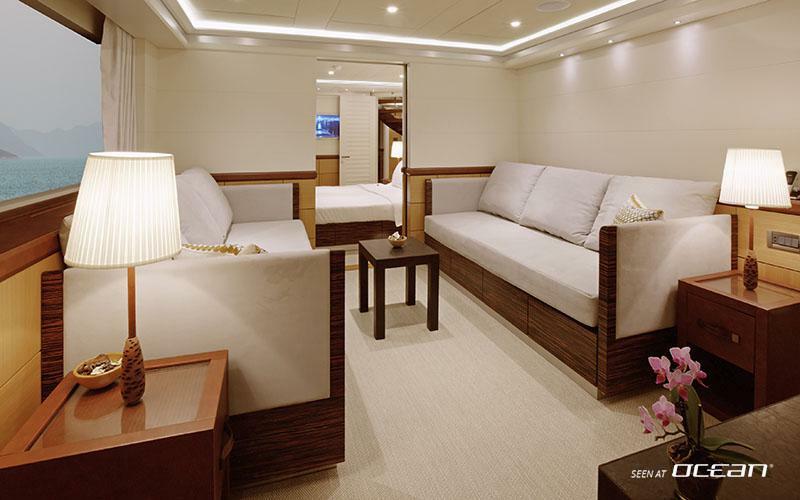 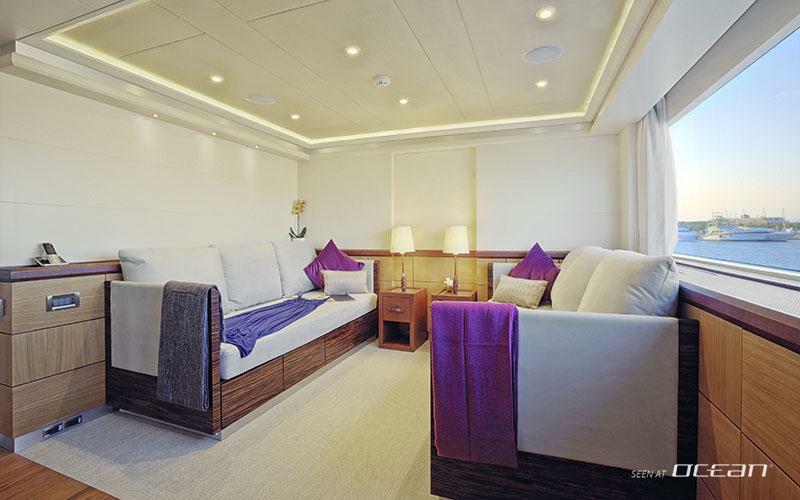 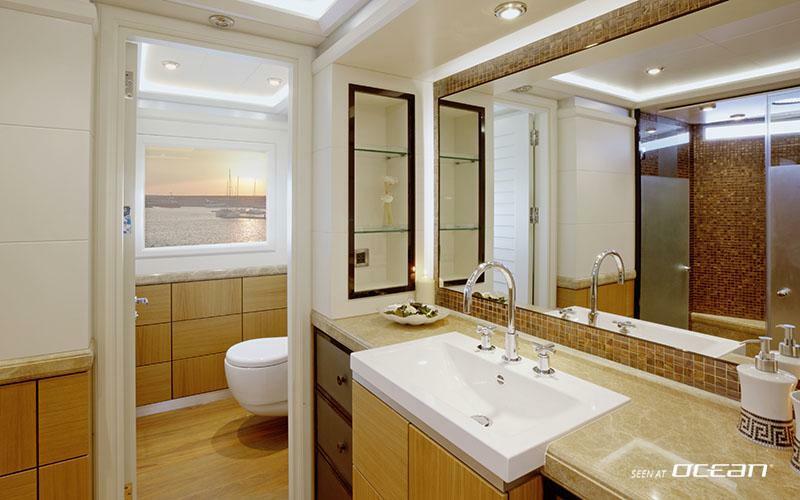 And should you be a smaller charter party QUARANTA easily converts 6 double cabins into three huge owner staterooms each with his and hers bathroom! 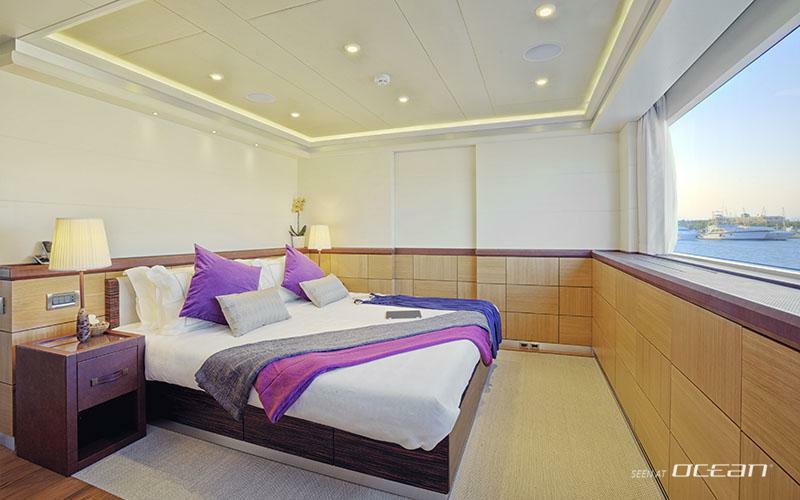 Motor yacht QUARANTA for charter features huge 3 square meters windows in each cabin floating every cabin with lots of natural light. 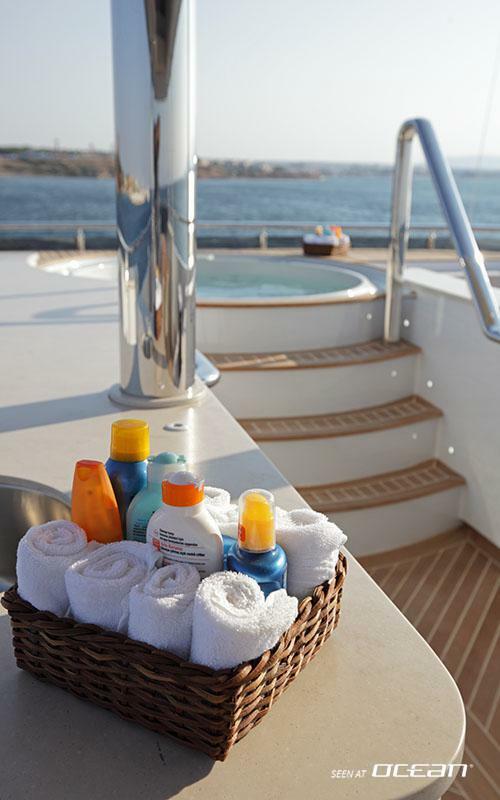 Outside the flybridge is equipped with a deck Jacuzzi for 4 guests and offers ample space for sunbathing, relaxing or enjoying al fresco dining. 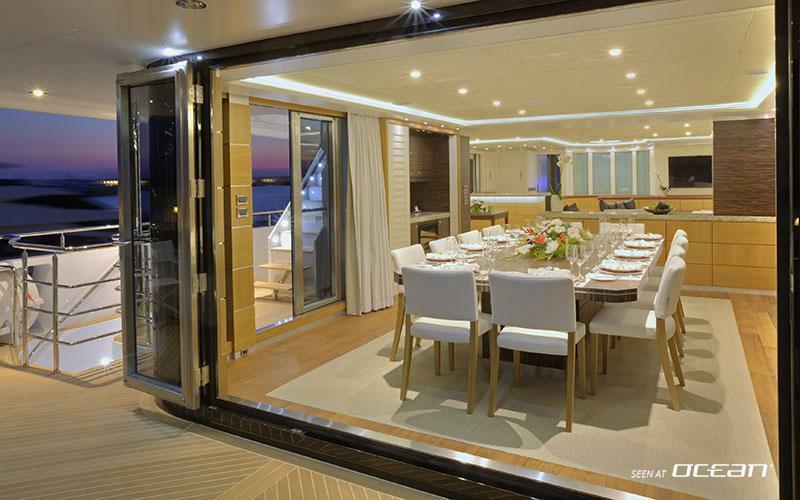 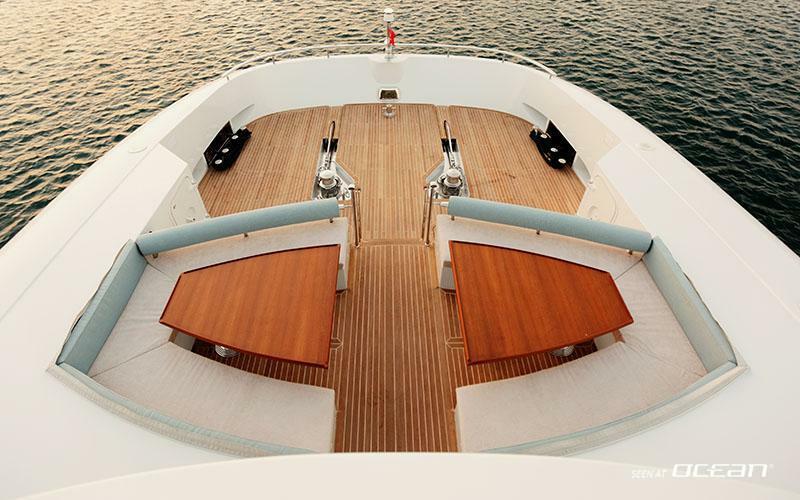 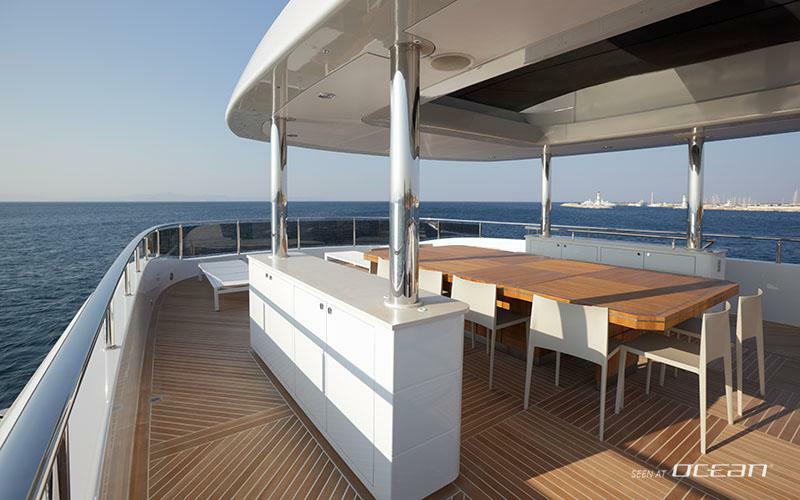 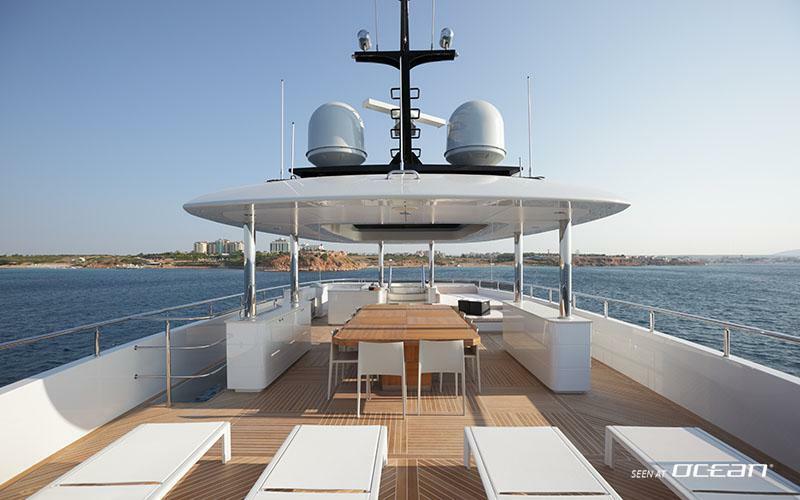 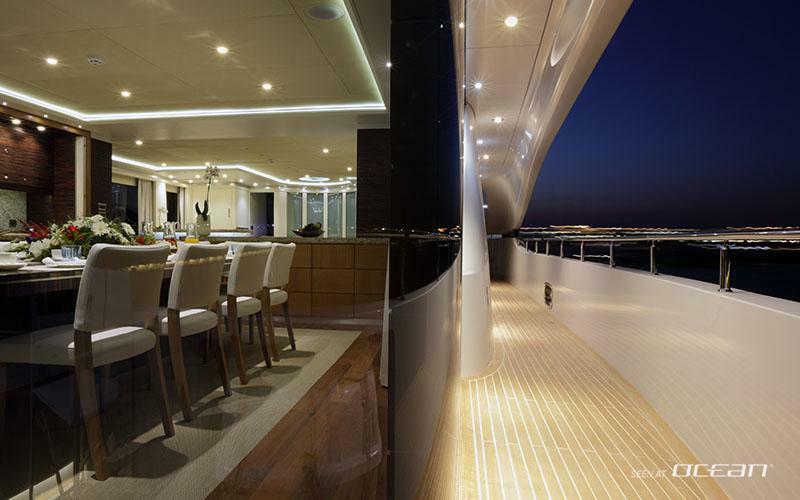 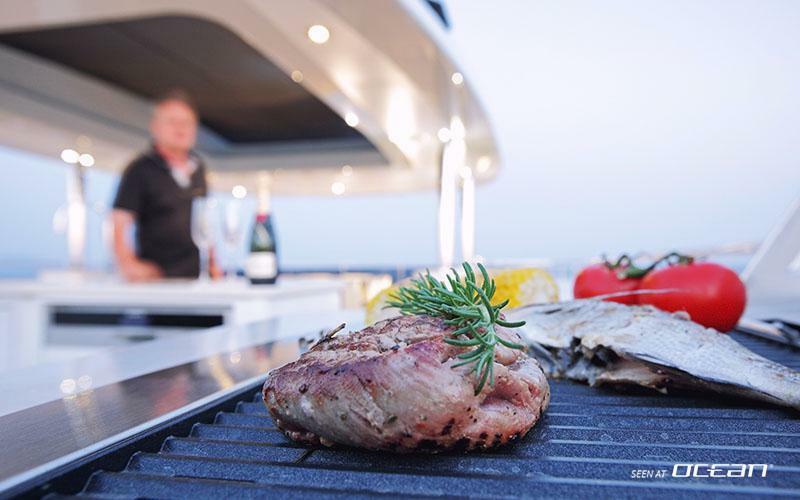 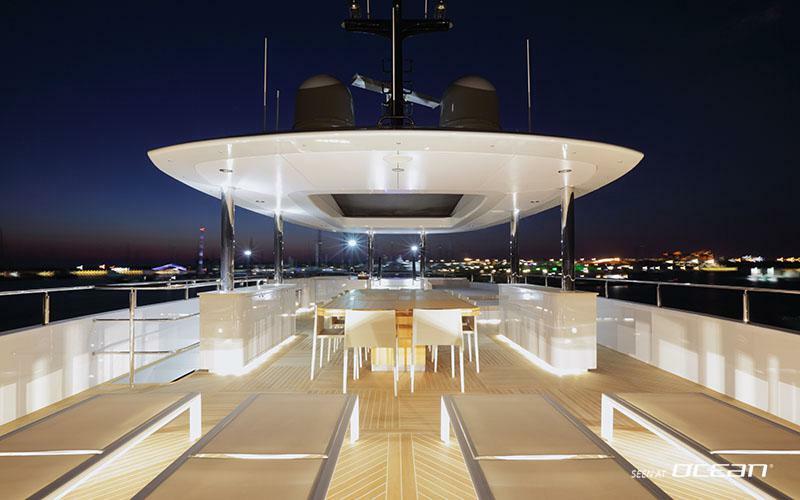 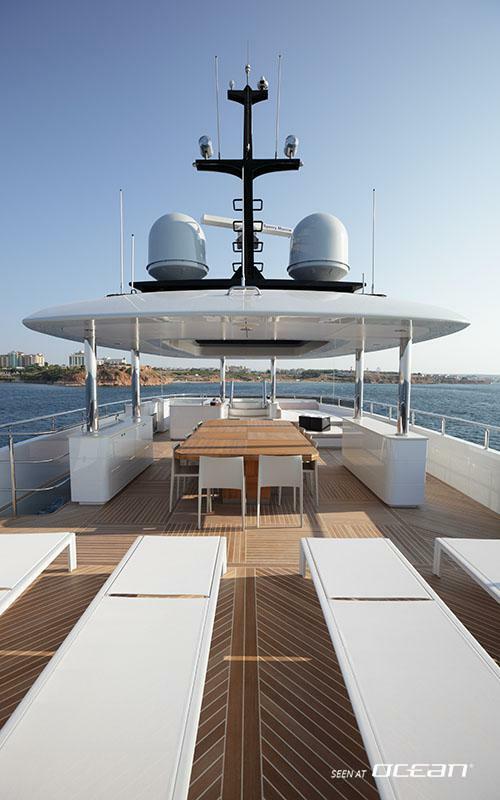 MY QUARANTA stands for fun and entertainment on board. 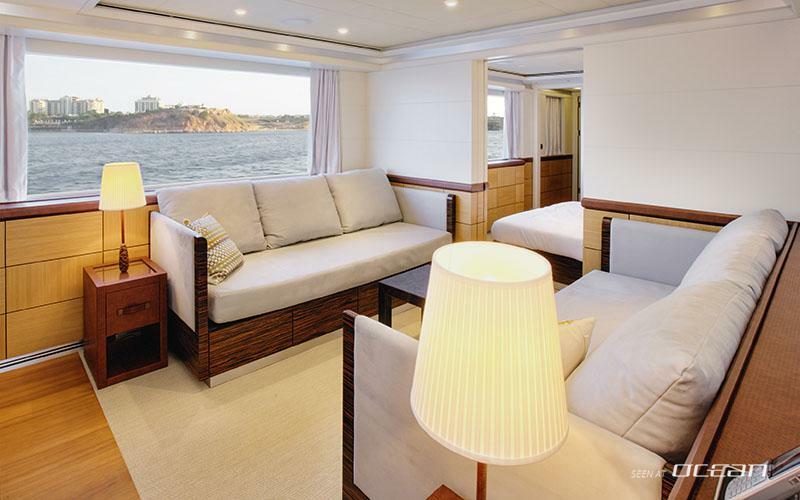 With throughout Wi-Fi internet she features latest LED-TVs and hard drives fully loaded with movies and music. 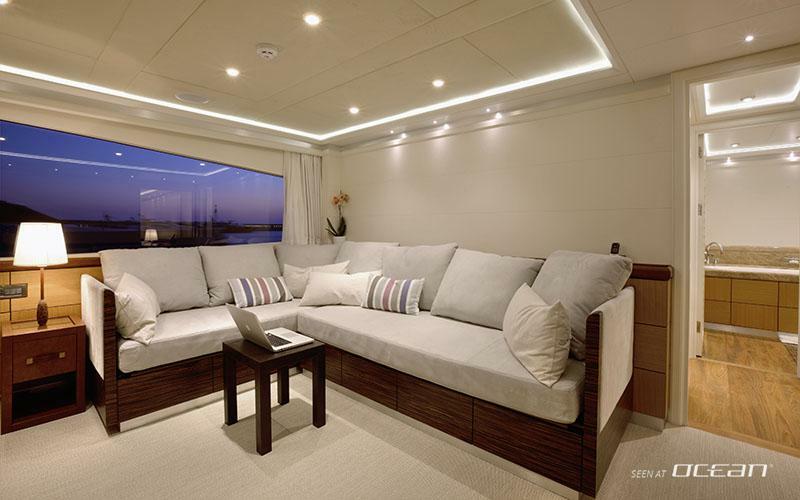 I-Pod docking stations are available in all interior areas of QUARANTA and surround sound is available in saloon and dining area, whereby stereo ceiling speakers are available in the guest cabins. 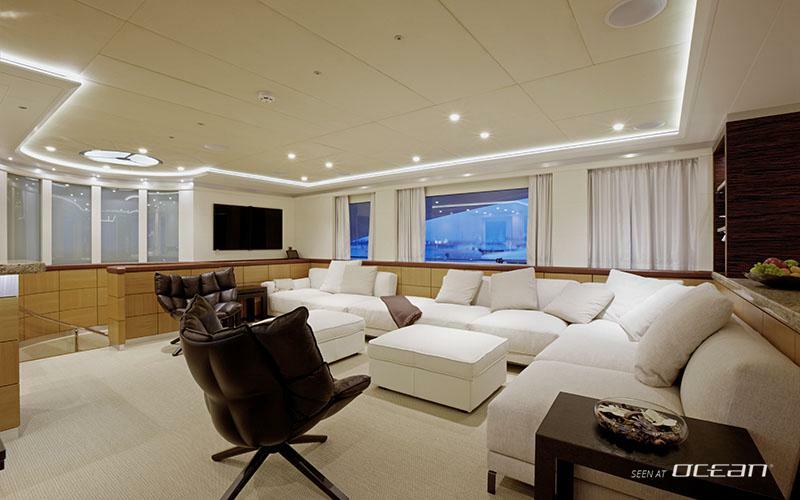 A PlayStation 3 gaming console is part of her equipment as well. 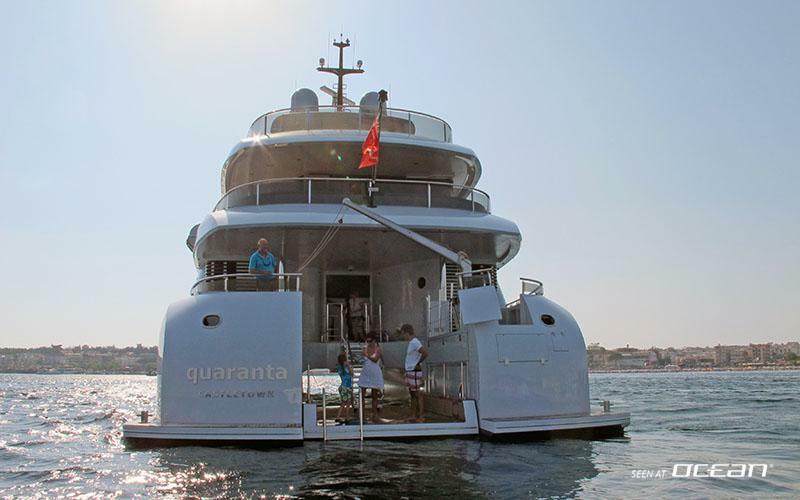 QUARANTA for charter is fully loaded with water toys: towable inflatables including a banana, water skis, wakeboard, kneeboard and 2 inflatable stand-up paddleboards. 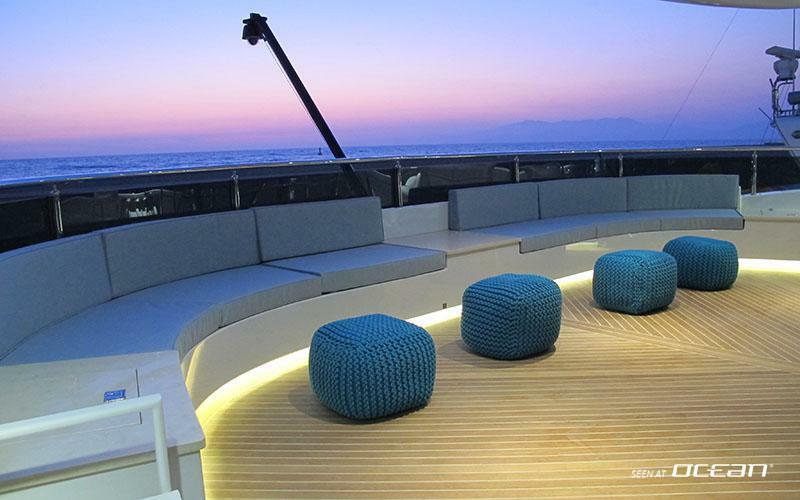 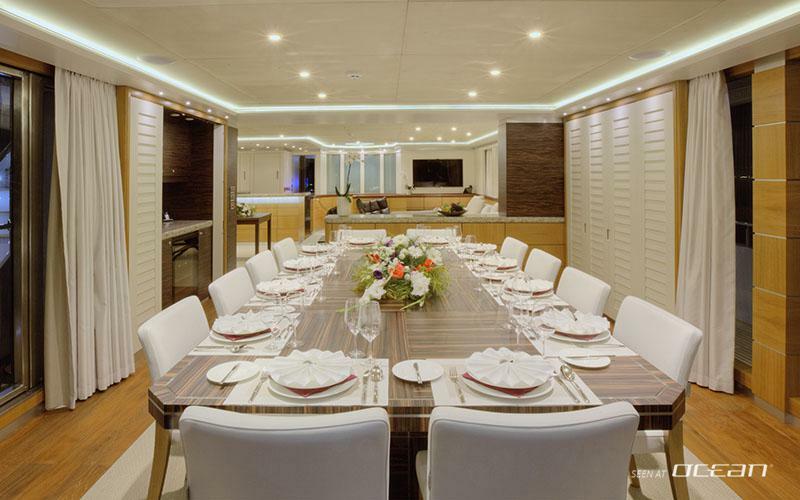 QUARANTA superyacht for charter also feature a nice beach picnic setup and fishing and snorkeling equipment. 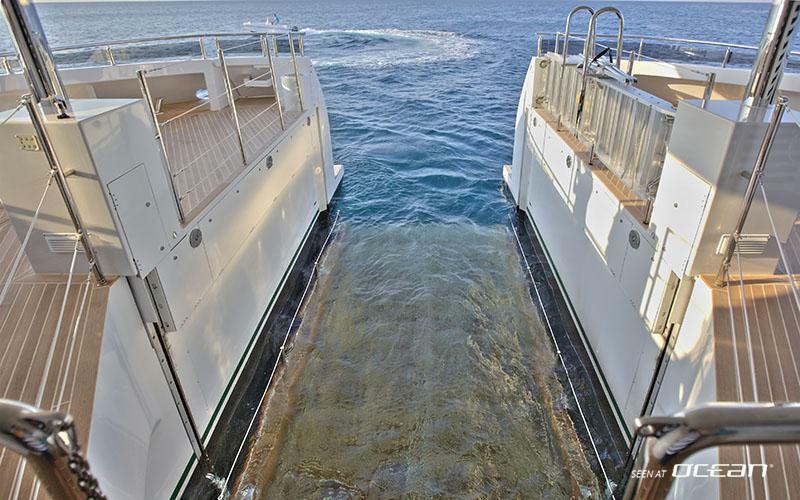 A hydraulic lifting platform eases the access to the sea and can be used as a beach. 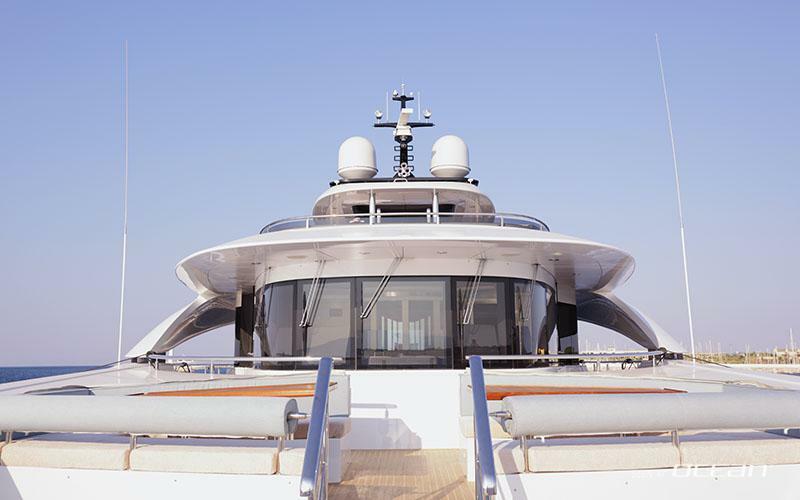 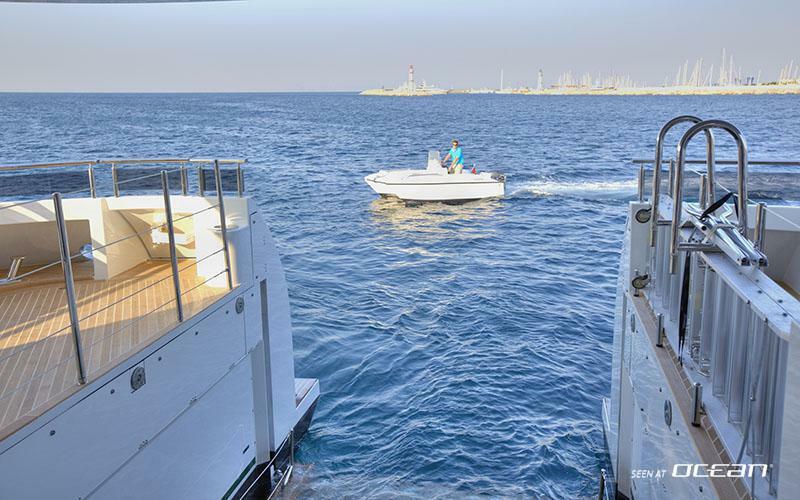 The platform is able to lift the tender out of the water to the main deck level, but with QUARANTA luxury motor yacht this is possible whilst guests are still sitting in the tender. 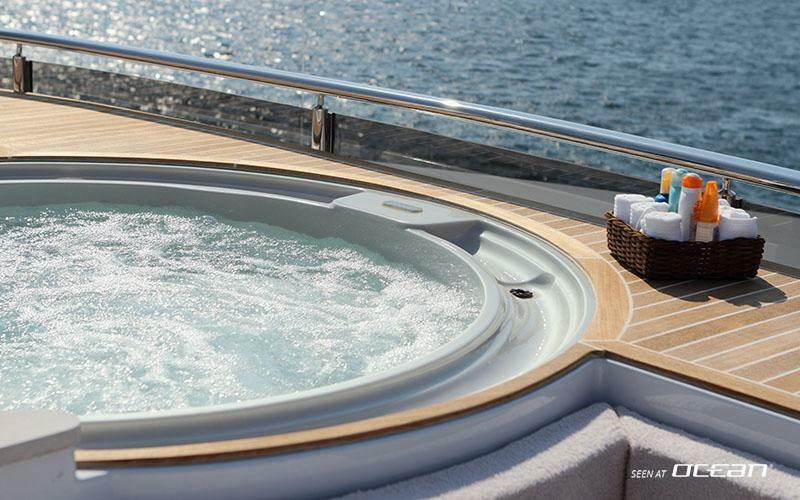 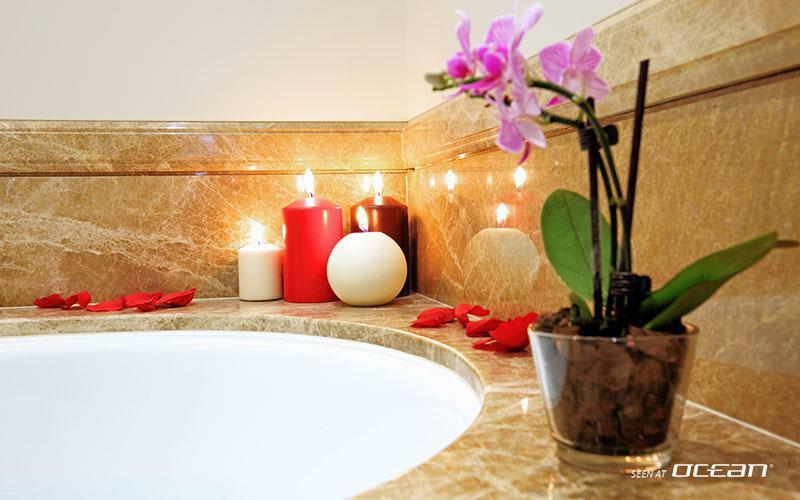 And when slightly submerged it allows a spa feeling with waterfalls and bubbles. 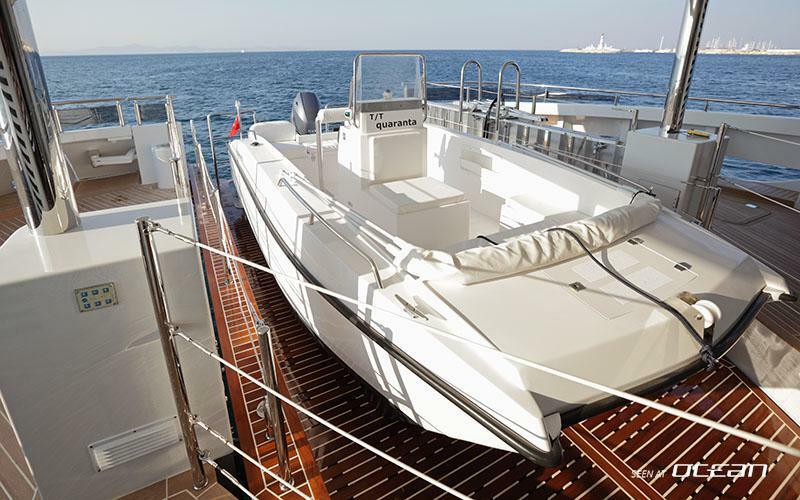 All in all QUARANTA motor yacht for chater is a great choice, combining very economic fuel consumption with lots of fun and versatility. 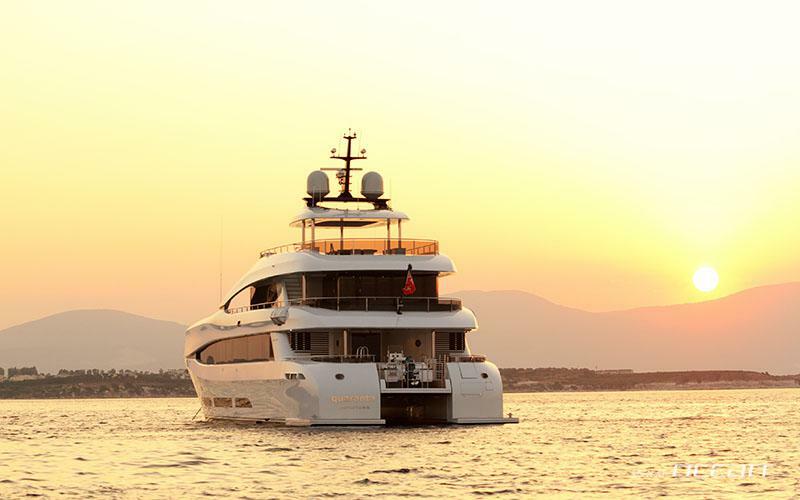 QUARANTA will be available in the Eastern Mediterranean covering top destinations like Turkey, Greece and Croatia, Montenegro with thousands of picturesque islands.